In the town of Krk is traditionally held the anniversary of the battle of Lepanto – one of the biggest and the most famous naval battles in the European history. Come to the town of Krk from 6th till 8th October and celebrate this significant anniversary with us. In the 1571, on October 7th, one of the most important battles in the European naval history took place. The battle was held near Greek town Nafpaktos, known as Lepanto. It was the largest naval battle in Western history since classical antiquity, involving more than 400 warships, but also the last one fought solely between rowing vessels. And what is the connection between the island of Krk and the battle in the Corinthian gulf? As the Turkish Navy wanted to occupy Cyprus which was under the possession of Venetian Republic, the forces of Christians and Muslims clashed near Lepanto. Of course, the Venetians didn't want to surrender and that was the beginning of the Cyprus war. Every year, the anniversary of the Battle of Lepanto takes place in the historic port of Nafpaktos (Lepanto) in Greece. It is organized in the memory of the died galliots, soldiers and the other crew members. It is the gathering of representatives of all the countries that were a part of the Holy League. 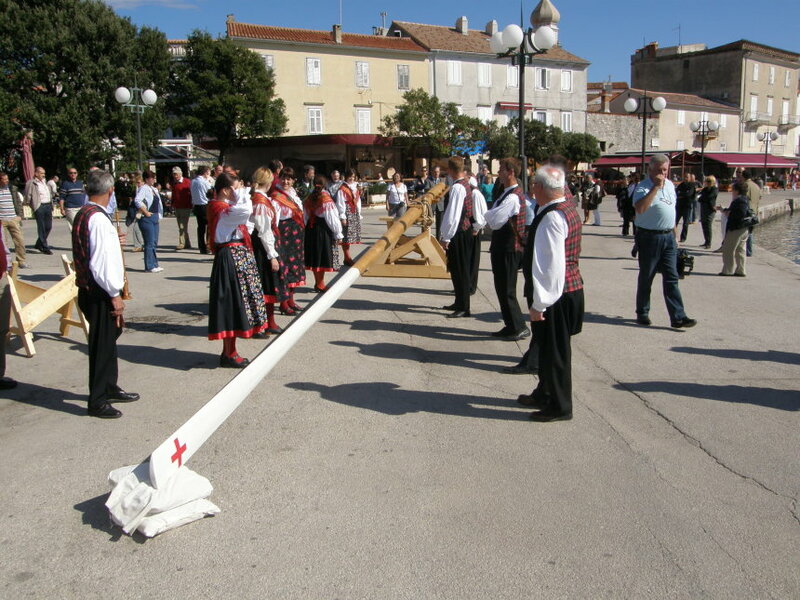 The representatives of the town of Krk visited this unique event 10 years ago. That is the reason why the idea of a project “The story of galley Cristo Ressussitato” was created in the town of Krk. Thanks to the Center of culture of the town of Krk, who organized the first celebration of the battle of Lepanto in 2008, this year will be the 446th anniversary. The 446th anniversary of the battle of Lepanto in the town of Krk will begin on October 6th with the exposition of the „trireme“ galley paddle replica the waterfront of the town of Krk. It will be exposed in the original size (12,5 m of lenght and 250 kg of weight). The paddle will be set on „cavalettas“, a wooden trestles. The participation fee for guided hiking is 40,00 kn and includes the return boat ride. Applications for guided hiking can be made until 06 October, by e-mail kultura@gradkrk.net or by phone on 00385 51 220 041. If you decide to join us for the celebration of the anniversary of the battle of Lepanto, we invite you to book an accommodation in Krk Hotels.